April 18th update: Trails are open to bikes. Voldemort, Carriage Trails and lower loop on the Redfield trails are still closed. PLEASE RESPECT TRAIL CLOSURES. 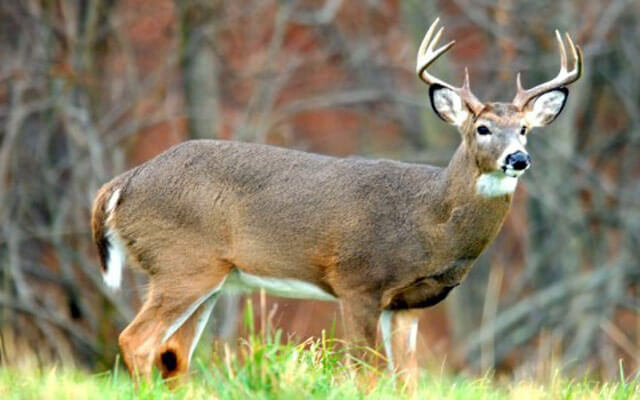 The rut in this pic was from the past weekend. We just repaired all those drainage’s last week and someone just had to ride through them. April 14th update: Trails are open to all bikes. Trails that are closed-Underdog, Voldemort, Carriage Trail and Redfield trails. Please respect those trail closures. Thank you for your patience. April 7th update: Trails are closed to all bikes. We are monitoring the trails daily and they are soft from 3″ of snow last Monday and an 1″ of rain today. Please be patient. We are closing the trails for a few days with the cold night temps moving in the frost has come in with those temps. 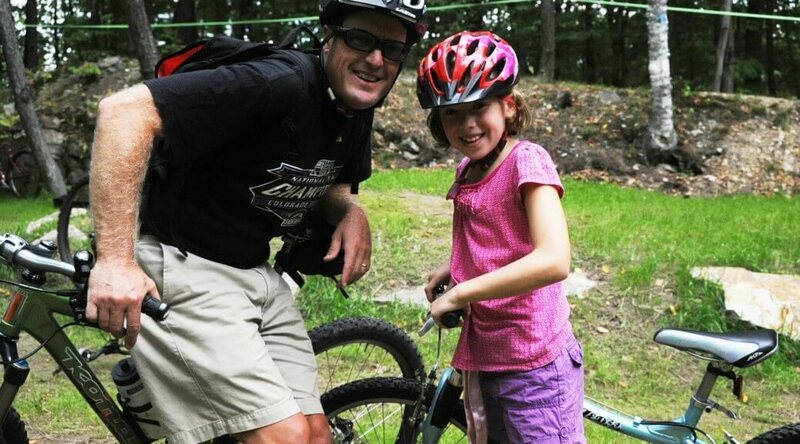 Hopefully by the end of the week we will be able to open the trails to mountain bikes. April 2nd update: Most trails are open today and tomorrow April 2nd and 3rd. Trails will close Sunday at 5pm due to cold weather moving back in. The freeze thaw cycles raise havoc with the trail tread with frost issues. Underdog, part of Droopy, Lichen Rock, Exit Strategy, Voldemort are closed in Pine Hill Park. The Carriage Trail and Redfield trails are closed and will remain closed until we get some significant drying weather. April 1st update: We are going to open the trails for Saturday and Sunday, April 2nd and 3rd. They will close Sunday late afternoon. The weather is going to get really cold with some snow and we’re trying to protect the trails the best we can. Underdog will be closed to bikes this weekend. Please set Pine Hill Park as a favorite on TrailHUB for up to date information on the trails. 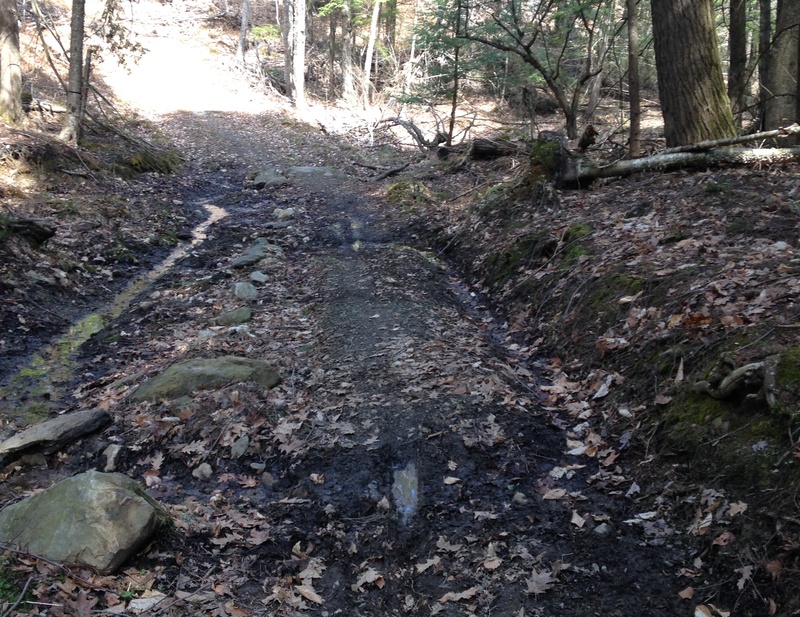 March 31st update: The freeze/thaw cycles are wreaking havoc on the trails. Please DO NOT ride any type of bike in the park. Our weather gods do not appear to be cooperating next week to be able to open trails up either. Here is a very good explanation on why not to ride during freeze/thaw cycles. First community work day is Saturday, April 30th at 9AM. Saturday, March 25th at 10AM there will be a volunteer work day to clean drainage’s and repair ruts left from the bikes last weekend. Meet at front entrance. Unfortunately we have had to close our trails due to the freeze/thaw cycles we are experiencing. Please be patient while trails dry out and firm back up. No bikes-this includes fat bikes. We opened most of the trail system Thursday, March 17th. Redfield, Carriage Trail and Voldemort are closed to all users(pedestrian, bikes, fat bikes, etc) due to very soft conditions. We would greatly appreciate all your cooperation on staying off these trails. We have had some vandalism in the park. 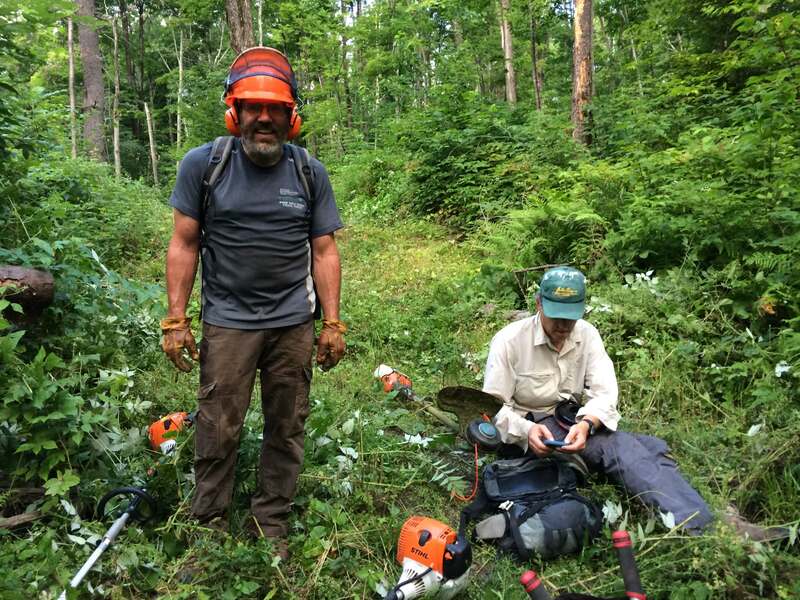 Pulling ‘you are here’ signs down, cutting small sapling trees along the edge of the trails, plus pulling down trail blazes. If you see vandalism occurring please report the activity to the Rutland Police Dept at 802 773 1820. If the destruction has already occurred please report it to Rutland Recreation at 773-1822. If you see someone trying to start a fire please call 911 and report it to the police and fire dept. Spring is a nasty time for wildfires. Pine Hill Park is a Rutland City Park, means no fires, no smoking, no camping and pets on a leash. Ground bees are gone on Svelte Tiger. However, other reports of folks being stung on the trails.